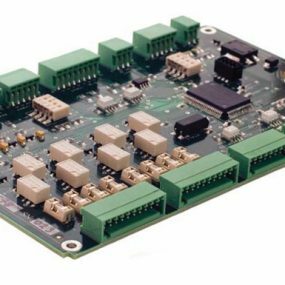 The 10 channel Power Controller board provides power switching to 10 separate power outputs. 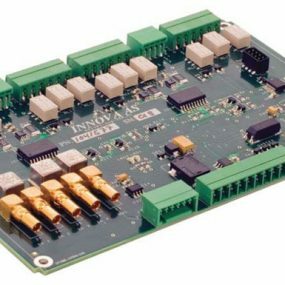 Communication is by RS232 or RS485. 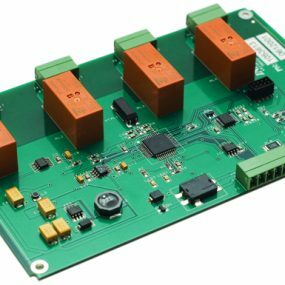 The unit has 10 power outputs for switching 12 or 24 VDC loads. user and fuses are re-set from the host system. output in case of electrical leakage in the external circuit connected to the output. 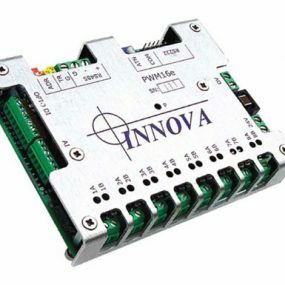 Remote control is possible via RS232 or multi drop RS485 communication. The unit is configured to act as a slave unit controlled from a master system. 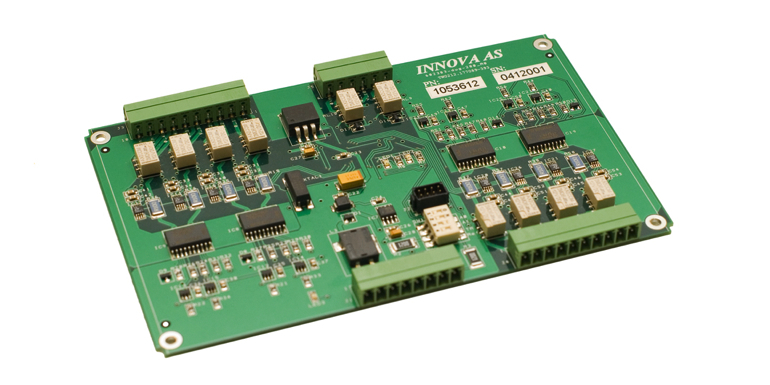 Several units can be controlled over a single RS485 network. 4 hotles for M3 bolts, 1 in each corner 5mm from the edges.